Well, not really a production line, but a productive couple of days. It started on Friday when I decided to tidy the huge cabinet that houses our TV, recipe books, some glasses, and just a plethora of crap. I emptied two drawers of rubbish, tidied Raina’s books and put loads aside to pass on to other kids and then started on my “miscellaneous crochet stuff” draw. This drawer housed all my printed patterns and old half finished projects from before Raina was even born! I only just noticed right now that I used almost the same backdrop as the original designer, how strange! I used Drops Paris with a 3.5mm hook, and 6mm safety eyes. I also made the scarf, but my daughter immediately ripped it off. What is it with toddlers and their need to rip all and any clothes of dolls and stuffed toys? So while I was feeling productive, and considering there was even more football on TV, I whipped up one of these Zpagetti hanging baskets that I’ve been seeing for the last few weeks on my Facebook feed. It’s not quite the same as the original as the yarn I used was slightly lighter in weight than the Hoooked Zpagetti that the pattern calls for, so I made it a bit taller and not as much of a ball in shape. I think it might well be a great way to store my winter accessories in the hall cupboard, and was an easy project that can be done in an evening on the couch while pretending that the World Cup isn’t happening. 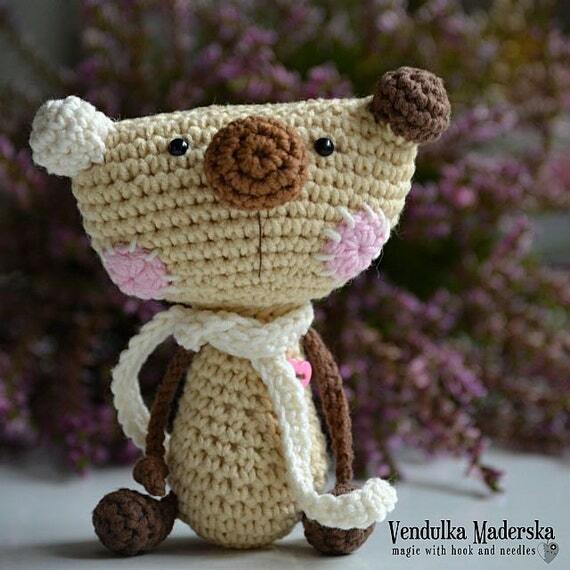 This entry was posted in Drops, Projects, Yarn and tagged amigurumi, crochet, crochet pattern, etsy, haken, MissNeriss, zpagetti. Bookmark the permalink.